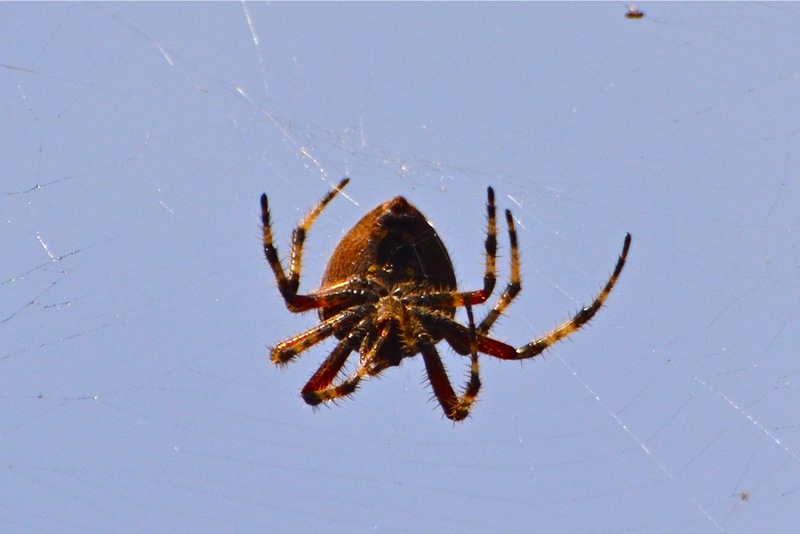 I saw the wasp struggle in the web high over my head and watched the huge spider speed towards it. In an instant she was spinning – almost spitting silk – until the wasp was wrapped in a white cocoon and completely still. 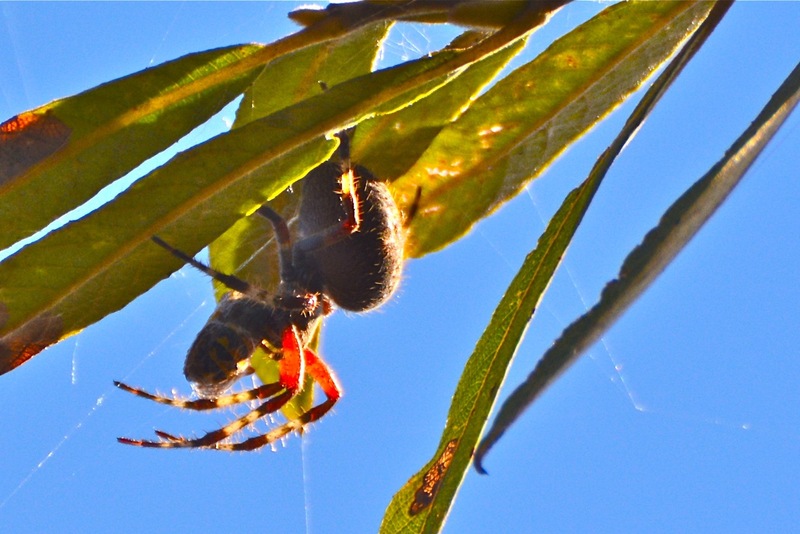 Slowly the spider made made her way to a willow tree the other side of the path and high up in the branches continued dining on previous prey. The drama was over in less than a minute and I continued down the path. 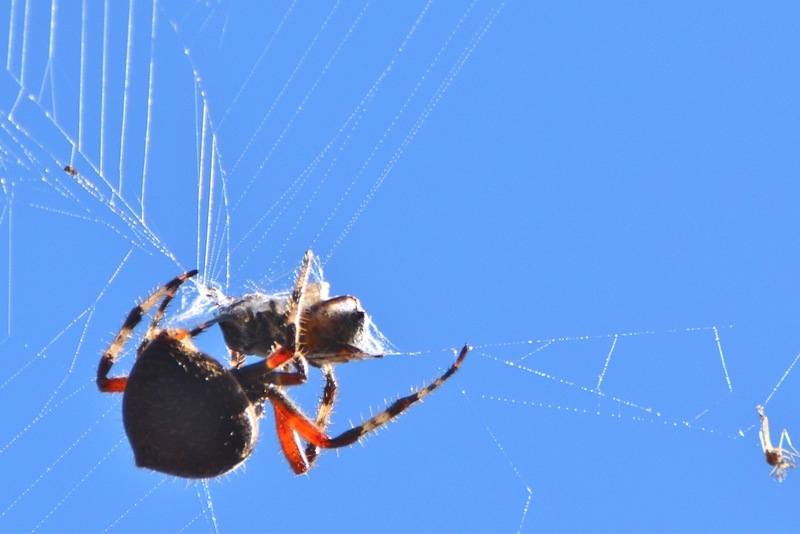 below are a few photographs of the Orb-weaver Spider, Neoscona crucifera, in action. 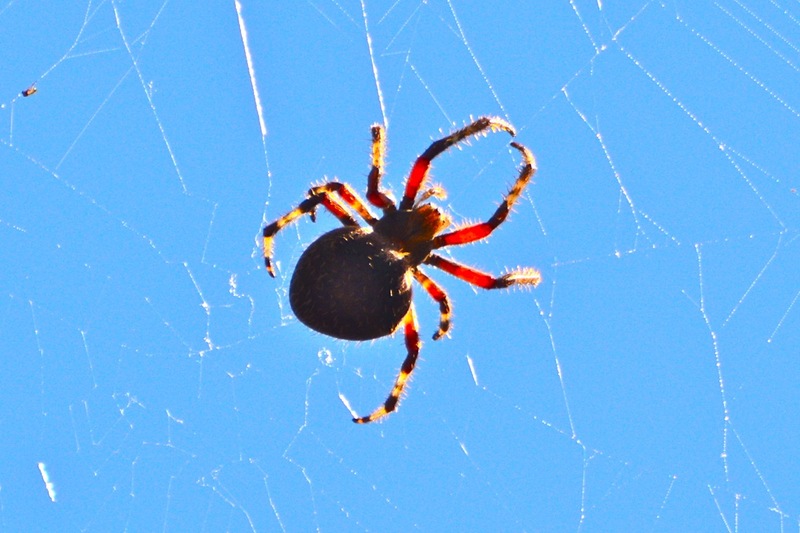 Image | This entry was posted in environment, General, Nature, outdoors, photography, San Diego, spiders and tagged Arachnida, Biology, Flora and Fauna, invertebrate, nature, outdoors, Spider. Bookmark the permalink. It’s kinda hard to like spiders, but they are God’s creatures, too. 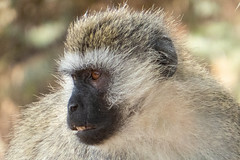 Every living creature is interesting if you study it closely and not judge it just by outer appearance. They are so beautiful! You have captured a very interesting sequence. 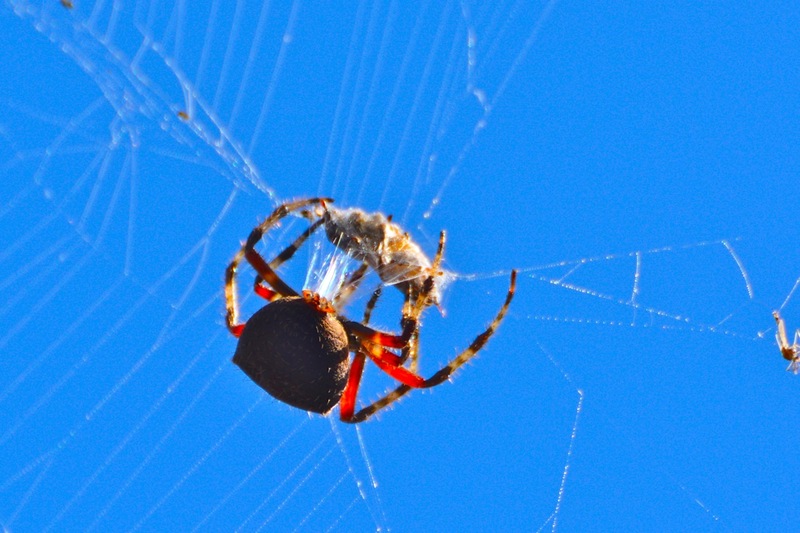 I saw once a very large black-and-yellow Orb-weaver Spider quietly sitting on her zig-zag cobweb, of impressive design. 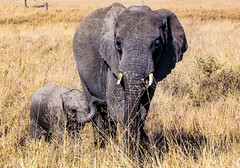 Great pictures!. Thanks Carmen. 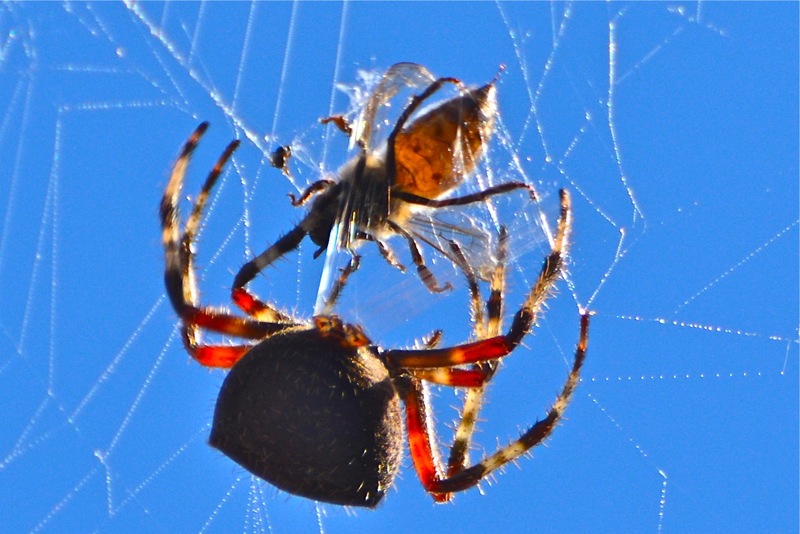 Yes, Orb-Weavers really are impressive!